We sell and ship Billy Goat Sod Cutter Parts! Sod cutters have a reputation of being heavy, slow, and clumsy. The Billy Goat Sod Cutter breaks away from the tiring competition. The Sod Cutter is lighter weight and cuts faster than other competitive sod cutters. 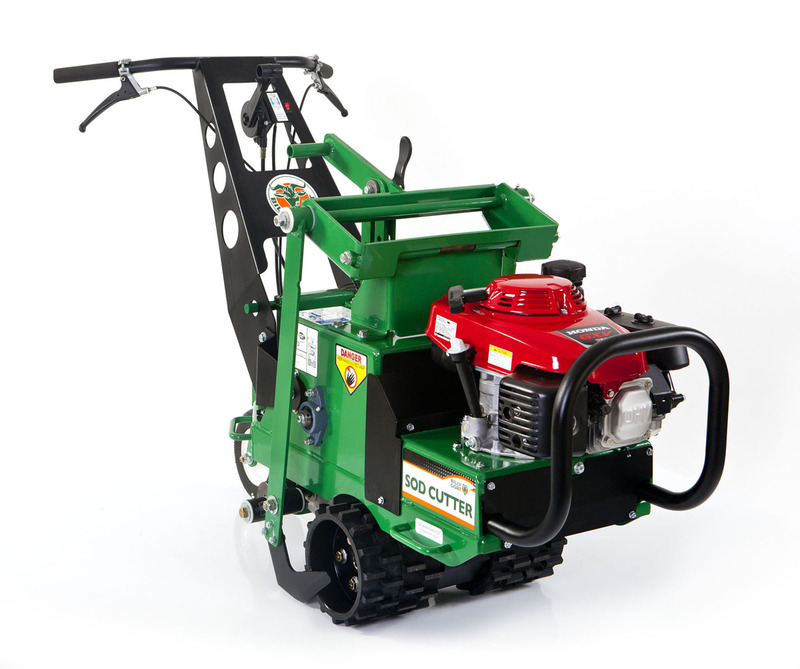 At only 161 lbs., the Sod Cutter is nearly half the weight of competing models. Less weight means better maneuverability and more production. Despite its light weight, the sod cutter still cuts an even 12 inch wide swath up to 1.38” deep. At an overall width of only 16.5” wide (22” wide at handles), this machine is easy to maneuver and is one of the most compact motorized sod cutters on the market. 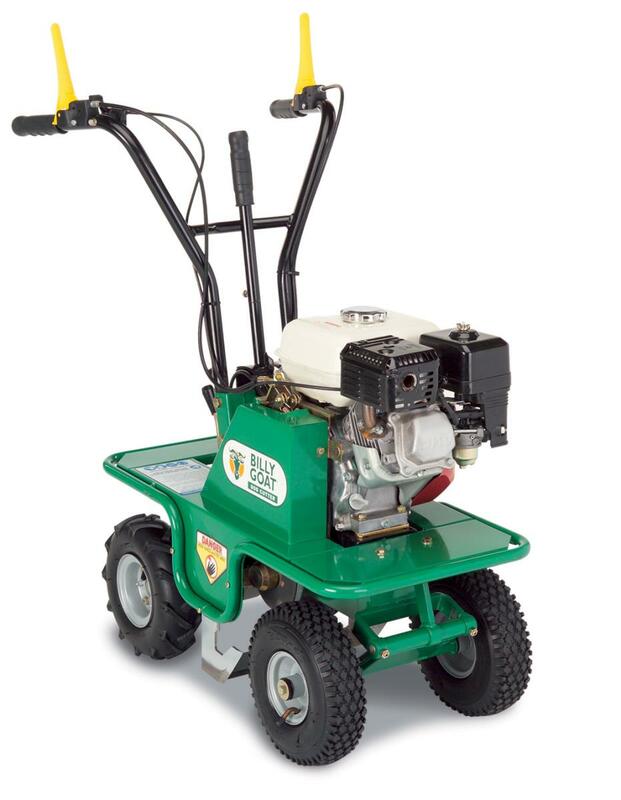 Powered by a Honda OHV engine, the sod cutter is rear wheel drive with a 2 forward speed geared transmission. Comfortable control levers adjust the cut and control the drive system. The cutting depth is easily adjustable with a simple one-step lever. The sod cutter has a balanced footprint with its stable four wheel stance. The engine is isolated from the durable frame with 6 rubber mounts lessening vibration and improving handling. BillyGoatParts.com has the parts you need to keep you on the job. Don’t lose money with a downed machine. Replaceable OEM Parts are easy to find and order with the Online Parts Lookup.